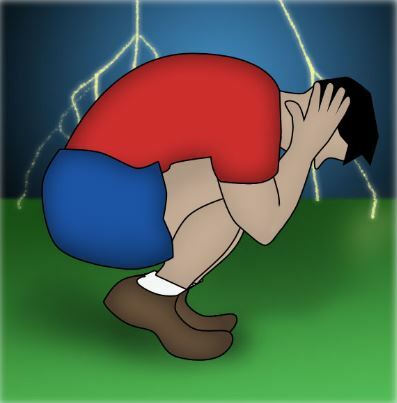 Find a safe, enclosed shelter when you hear thunder. Safe shelters include homes, offices and shops. 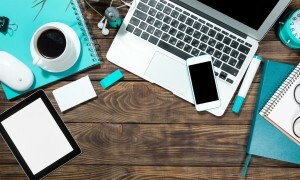 Do NOT use your computers, laptops, game systems, washers, dryers, cookers, or anything connected to an electrical outlet. Lightning can travel through electrical systems, radio and television reception systems, and any metal wires or bars in concrete walls or flooring. Unplug non-essential electrical items. You don’t want a power surge. 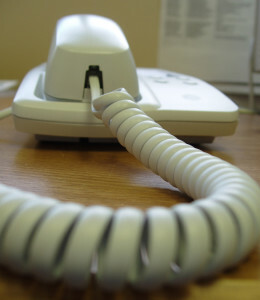 Corded phones are NOT safe to use during a thunderstorm. Do NOT use them. However, it is safe to use cordless or mobiles indoors during a storm. Do NOT lie on concrete floors during a thunderstorm. Also, avoid leaning on concrete walls. 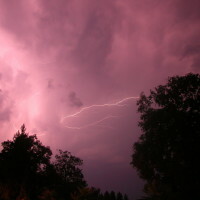 Lightning can travel through any metal wires or bars in concrete walls or flooring. Do NOT bath, shower, wash dishes, or have any other contact with water during a thunderstorm because lightning can travel through a building’s plumbing. During a thunderstorm, avoid open vehicles such as convertibles, motorcycles, and golf carts. Be sure to avoid open structures such as porches and gazebos. Stay away from open spaces such as golf courses, parks, playgrounds, ponds, lakes, swimming pools, and beaches. If you are caught in an open area, crouch down in a ball-like position (feet and knees together) with your head tucked and hands over your ears so that you are down low with minimal contact with the ground. Do NOT lie down. Lightning causes electric currents along the top of the ground that can be deadly over 100 feet away. Crouching down is the best combination of being low and touching the ground as little as possible.